This year, Novel Matters has been exploring why the novel matters, and we’ve invited some of our favorite authors to share their answers with us. 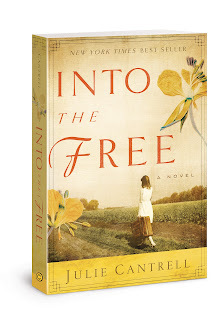 Today, we’ve invited July Cantrell on to the blog and we know you’re going to enjoy getting to know her. Here’s some bits you need to know. 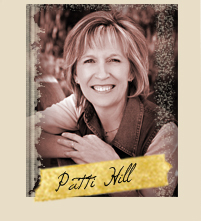 New York Times and USA TODAY bestselling author, Julie Cantrell was the editor-in-chief of the Southern Literary Review. 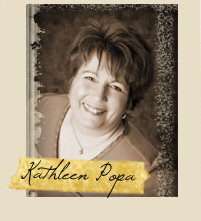 She has been a freelance writer for a decade and has contributed to more than a dozen books. Julie and her family now live in Oxford, Mississippi where they operate Valley House Farm. Julie also was honored to receive the 2012 Mississippi Arts Commission Literary Fellowship and is working on a creative nonfiction book about her family’s adventures as first-generation farmers. 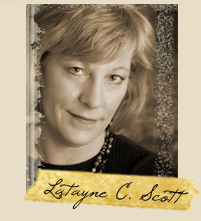 Her second novel will be published by David C Cook and is set to continue the story of her bestselling debut, Into the Free. It is scheduled to hit shelves Fall 2013. 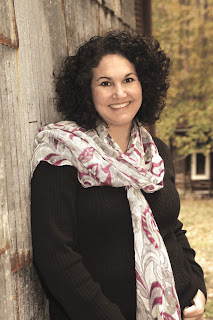 Novel Matters: Julie, what a year for you! Your debut novel, Into the Free is published to rave reviews, and then the KAPOW every writer dreams of: bestseller. 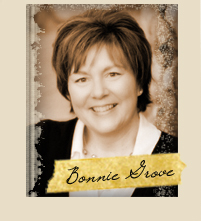 Julie Cantrell: You’re right, Bonnie. It really has been an incredible year. Earning a starred review by Publisher’s Weekly was an amazing experience for me as a debut author. Then, when the book spent three weeks on the New York Times and USA TODAY Bestseller Lists . . .
NM: Three weeks! Sorry. I squealed with vicarious joy. Bestseller isn’t just about numbers is it? It’s about people. JC: Oh believe me, I was squealing too as all that was happening. I was blown away by the level of support readers offered this story. Still am. But there’s no doubt…the absolute best part of this entire journey has been hearing the dramatic reaction from readers who write to tell me how much Millie’s story has affected their lives. I’m moved to tears every time someone tells me they found hope in these pages. It’s a beautiful thing to hear. NM: Why do writers like crying so much? But we do! Your novel has brought tears to the eyes of so many readers—in a good way. JC: You know, I still cry when I read certain scenes, and I certainly cried when I wrote them. Millie has some hard battles to get through, and it means a lot to me when readers feel connected to her on such a deep level that they care enough to cry when she hurts. Even more so, that they learn to go through their own personal journey along with Millie, healing with her as the story progresses. I never expected this project to reach so many people in such a profound way, and I feel extraordinarily grateful to have played some small part in a reader’s journey to emotional and spiritual recovery. NM: The most common question writers get is “where do you get your ideas?” Give us the inside scoop. What was the seed of your idea for Into the Free? What inspired you? JC: While searching for fun family weekend trips, I discovered a tiny blurb about a Gypsy Queen who was buried in Meridian, Mississippi. That led me to a 1915 newspaper article from the Meridian Dispatch describing Kelly Mitchell’s funeral. Mitchell died in 1915 while camped with Romany Travelers in Coatopa, Alabama. Her story is a fascinating one that piqued my curiosity tremendously. I spent a lot of time researching the Roma, particularly those who traveled the Southeastern part of our country (and continue to do so today). While the Roma ended up being a thread within a much larger work of fiction, many of the historical events in the book were based on actual events that took place in Mississippi during the early 20th century. NM: Mississippi. Even as a Canadian girl in the frozen wilds of Alberta, I played skip rope to the tune of M-i-s. S-i-s. S-i-p-p. I. There’s something enduring and wonderful about Mississippi. What role does setting play in your story? JC: Huge! I’m a southern literary gal. In southern literature, the setting is so important it nearly acts as a character itself. My main character, Millie, is deeply connected to her environment and reacts intensely to both the beautiful and the horrific aspects of the wild. Not only does she hunt, fish, and know her way in the woods, her best friend is a tree named Sweetie. Without Mississippi, Millie wouldn’t be Millie. NM: Speaking of southern lit: you’re at a festival in celebration of this rich American tradition. JC: Well, I’m actually beyond thrilled to be answering these questions from the SouthernFestival of Books in Nashville, TN and I just realized Gail Tsukiyama is here! NM: Brilliant! She’s an inspiration for you? JC: In recent years, I have become completely enamored by the work of Gail Tsukiyama. Her latest release A Hundred Flowers is incredible but the book that means the most to me is her petite, poetic novel The Samurai’s Garden. It’s truly one of the most beautiful books I’ve ever read. So, I’m hoping to get the chance to meet her in person this weekend and can’t begin to tell you how much that thrills me. NM: Cheers and good luck, we are all hoping you have a chance to sit down with her. Every writer has that dream of sitting down with authors who have inspired them. Who else do you dream of chatting with? NM: Oh, absolutely. Inspiration comes in many forms. Which novels informed you as a writer over the years? In what ways have they influenced you? JC: When I was younger, my parents owned a bookstore for a very short time. My mother also worked as a school teacher, so I always had access to the school library. I was one of the lucky ones in my small town who could pick any book off the shelf, and that’s exactly what I did. I read everything I could get my hands on, and I still do. While it’s very difficult for me to select favorite titles, a few novels really do stand out. First, Judy Blume’s Are YouThere God, It’s Me Margaret felt like the very first time I’d met an adult who was being honest. I was in maybe fifth or sixth grade when I read it, and I thought --- Wow? She’s talking real stuff! I had never known an adult who talked about things, I mean REALLY talked about things, and even though it was told through the young narrator’s voice, I knew it was something special. Then, I went through a phase in middle school where I read every single title by Stephen King. Although I no longer read horror stories, there’s no doubt I absorbed a love of language from this masterful storyteller. I can think of no American writer in my lifetime who has had such a profound influence on the novel as a whole. My favorite Stephen King title was Pet Sematary, because I was fascinated with the idea of bringing lost loved ones back to life. I’m still fascinated by how he can take an idea like that and create something so incredibly unique and suspenseful. He’s nothing short of genius. NM: I’m pretty sure you just jumped to the top of our readers lists of Writers I Want to Visit. We all want to come see your farm! But this sounds busy—how does sustainable farming and other non-writing things you do help you be a better writer? JC: I work with many animals on our family’s farm - some who don’t mind putting me in my place if I turn my back at the wrong time, and others who offer unconditional love. I’ve certainly learned lessons from both. NM: Deeply good answer, Julie. What else? JC: I am a mom of two amazing kiddos, and I learn more from them every single day than I could teach them in my entire lifetime. They remind me not to take this writing gig too seriously and to always count my blessings. I also teach English as a Second Language to kindergarten and first grade students who are constantly inspiring me to see the wonder of the world and to understand cultures outside of my own. I learned quickly, (in the home, in the classroom, and on the farm), I can’t let my attention drift for a second. Children and animals sense weakness. It didn’t take them long to train me to stop daydreaming when I’m with them…to wake up and pay attention to all the little things adults tend to tune out over time. Those details help me build better scenes and create more believable characters, no doubt. NM: I’m talking Mom Notes, here. My kids are young, and you’ve hit my guilt button with this. Well done—I’ll do better today. Okay, let’s get crafty. Let’s talk nuts and bolts about your work. Here at Novel Matters, we have a test writers can take to find out if they are a plotter or a pantser. Are you a plotter (do you outline your novels before you write), or a pantser (feel your way through to the end)? First of all, no guilt allowed! Moms are brilliant at multi-tasking…I’m sure your kiddos are never cheated. NM: Which comes first for you, plot, characters, themes, or something else? JC: Characters. For me…it’s all about the characters. And I do consider the setting a character. NM: Setting influences everything just like characters do. Totally agree with you. All this good stuff is making me wonder about the bad stuff you’ve had to shake off over the years. What is the worst piece of writing advice ever offered to you and why? JC: It took me ten years to get her voice out of my head. I didn’t write a thing for an entire decade because I was foolish enough to believe what she said as truth. NM: Oh for a thousand hands to slap the chin of your 12th Grade English Teacher. JC: Thankfully, my ninth grade teacher had told me I was a talented writer. Her name was Mrs. Purcell (yep, the same one who introduced me to Scout), and it was her voice that came through at the right time. Here’s to all the teachers who choose to build up their students rather than break them down. You make the world a better place! NM: You have to wonder what might have happened if you’d heard the bad advice first (in 9th grade), and the encouragement later. Your amazing novel might not have been written, and the world would be poorer for it. Here’s the chance to make up for the lousy 12th Grade English Teacher advice: What is the best piece of writing advice you have to offer aspiring authors? JC: Hmmm...It’s pretty simple, actually. I guess I just suggest that you please don’t sit down to write with anything on your mind but the story. Don’t worry about landing an agent, pitching to publishers, or signing a contract. Forget about genre, writing rules, or who your audience might be. In fact, I’m begging you… write as if no one will ever read it. That’s the only way you’ll find your true, original voice and feel free enough to reach the level of honesty readers really crave. NM: Free. That’s a true theme for you, and your writing and we appreciate it so much. What do you hope for readers who read Into the Free? JC: Thanks, Bonnie. I love that you’ve synced me with the idea of Free. While I didn’t write the story with a specific message in mind, I do hope the story offers healing to those who have suffered abuse and loss, and I hope it restores faith in those who have no reason left to believe in the goodness of God. I also hope it encourages readers to reach out and help the Millies of the world, and to remind us all that our choices matter…every single one of them. In the end, if this book gives hope to even one single reader who no longer believed her life worthy of love and light, than I am one grateful author. 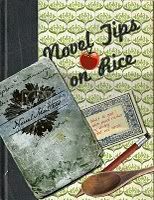 NM: Julie, the theme of our blog this year is “Why does the novel matter?” How do you answer that question? JC: There is no better way to deliver truth than through fiction. It’s as simple as that. Even Jesus understood the power of narrative, when he chose to teach through parables. He knew the only way to really make an impact was by delivering a story that struck a chord so intensely, so personally, that listeners would go and tell the story again, and again, and again, until the truth was understood. Whether you interpret the bible literally or see a deeper level of symbolism within the pages, it’s clear the bible is a story. Personally, I don’t think a novel needs to deliver an overt message of morality, even works of Christian fiction. I believe that’s where sermons and non-fiction books can be useful. Novels should tell a good story that encourages the reader to close the book with questions. I’d much prefer to read a book that makes me think, than to read a book that tells me what/how to think. In the end, as a novelist, I hope Into the Free leaves readers with plenty to think about. NM: Thank you, Julie for taking the time out of the conference to stop in and chat with us. It’s been a delight. JC: Thank you for giving me the opportunity to discuss the craft of writing novels. 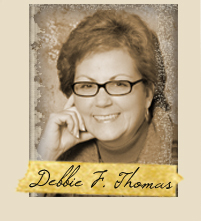 I’m honored to be a guest on Novel Matters, and I appreciate all you do to share the joy of literature with others. UPDATE FROM JULIE: I DID get to meet Gail Tsukiyama, and I nearly cried. She was even more amazing in person than I had expected. That was one of the highlight moments of my life, no doubt. I also got to meet Junot Diaz (who has won the Pulitzer, PEN Faulkner, etc.). I’ve read all of his work and always loved it, but I absolutely adore him now that I’ve met him in person. Brilliant, hilarious, honest, (profane, but charmingly so). These were just two of the many wonderful authors I got to meet this weekend, but Gail Tsukiyama certainly tops my list. NM: YAY! We love a happy ending! 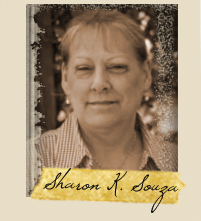 I was so thrilled to read about her 12th grade teacher. For me it was my 11th grade creative writing teacher who told me to stick to teaching, I'd never make it as a wriiter. It took me longer to get her words out of my head. I encourage every student who tries to write, even if I don't see it in them yet. Who knows, they may be the next best selling author. Ha! A fellow panster! "Write as though no one will ever read it." I recognise that this is a rare luxury and I am grateful I can indulge. And I love the Roma. They have informed and forced change on every culture they touch while remaining free. (Like us pansters!) Thanks for writing about them! I look forward to reading Into the Free. I've had this book on my Kindle waiting for me for a few months now. I'm reminded again of why I bought it. Congratulations Julie on all your success, it's wonderful. I'm looking forward to reading the book soon. Great interview--loved INTO THE FREE! I also love the idea of setting as character, and putting characters before plot. After all, the characters will tell you what needs to happen next! "Into the Free" has been one of my top reads so far this year. Loved it, and loved this interview. Thanks, Julie and Bonnie! Juliel thank you for such a wonderful interview. I really feel as though I got to know you. I look so forward to reading Into the Free. It will be the first book my book club reads in 2013. "There is no better way to deliver truth than through fiction." Oh my, you said in one sentence what I have tried to say in a thousand words on numerous occasions. Wow I was just browsing this website (found it on FB!) and, after reading this interview, could not figure out how I knew the name Julie Cantrell. Then I saw the book! I bought this book back in February and I loved it! Wonderful! Thank you for pushing past what your teacher said and writing this.